Eliquis, also known as apixaban, is intended to reduce the risk of stroke in adults with atrial fibrillation (AFib) and treat deep vein thrombosis (DVT) or pulmonary embolism (PE). Eliquis may also help reduce the risk of a blood clot after hip or knee replacement surgery. 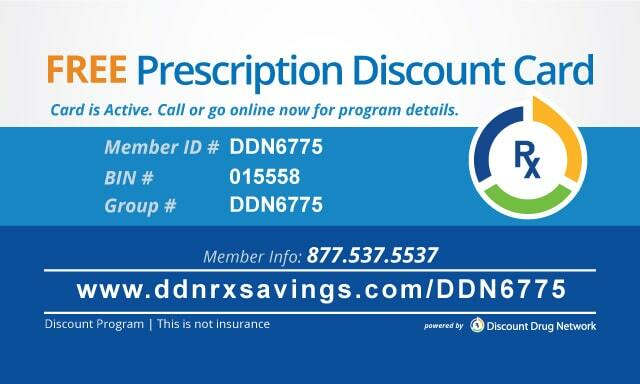 Present the following information to your pharmacist to get your discount on Eliquis. When you go to the manufacturer’s official website, you can sign up to see if you are eligible for a co-pay card. If you can get the card, you may be able to pay no more than $10 per month, for up to two years, on your Eliquis prescription. The expiration date is two years from the activation of the co-pay card. Eliquis is an anticoagulant, which is a drug that prevents blood clots by blocking clotting proteins in the blood. Adults with AFib, an irregular heartbeat, are at a higher risk of blood clots and stroke; Eliquis may reduce the risk of a stroke and other blood clots from forming in the legs or lungs. Eliquis is often prescribed to prevent blood clots after hip or knee replacement surgery. Since DVT and PE are dangerous blood clotting conditions, Eliquis may help them from reoccurring. Eliquis comes in the form of an oral tablet, and the dosage is either 2.5 mg or 5 mg. For adults with AFib, who take the medication to reduce the risk of stroke, the recommended dose is 5 mg twice a day. Adults who have at least two of the following characteristics should take 2.5 mg twice a day: are 80 years of age or older, or weight less than 132 pounds (60 kg) or have serum creatinine levels of 1.5 mg/dL or higher. Adults who are avoiding a blood clot after hip or knee surgery should take 2.5 mg twice a day. For the treatment of DVT or PE, the recommended dose is 10 mg twice a day for one week and followed by 5 mg twice a day. For adults who take Eliquis to prevent reoccurring DVT or PE, 2.5 mg twice a day. 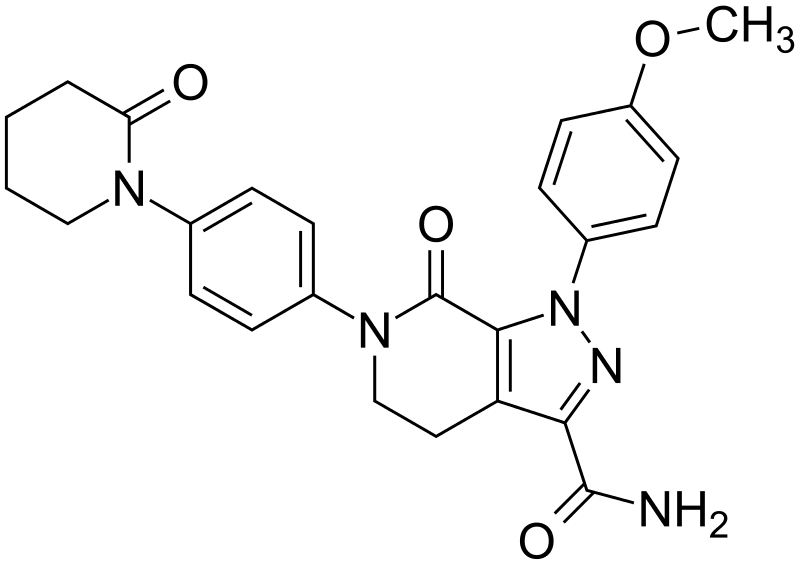 The side effects of taking Eliquis may vary among users, and if you are planning on taking apixaban, you should always talk with your doctor about any possible side effects. The most common side effect (over one percent incidence rate) is bleeding, especially in adults with AFib. Any adult who takes any of the following medications (listed above) should avoid taking Eliquis and if you are allergic to any of the ingredients in the medication, don’t take Eliquis. Children, pregnant, and nursing mothers should not use apixaban. Talk with your doctor if you have a history of liver or kidney disease. Bleeding or blood disorders, major injury or surgery, and frequent falls or injuries should also be discussed before taking Eliquis.